Fortnite patch 2.2.0 (January 18th) introduced a new map in Fortnite Battle Royale. 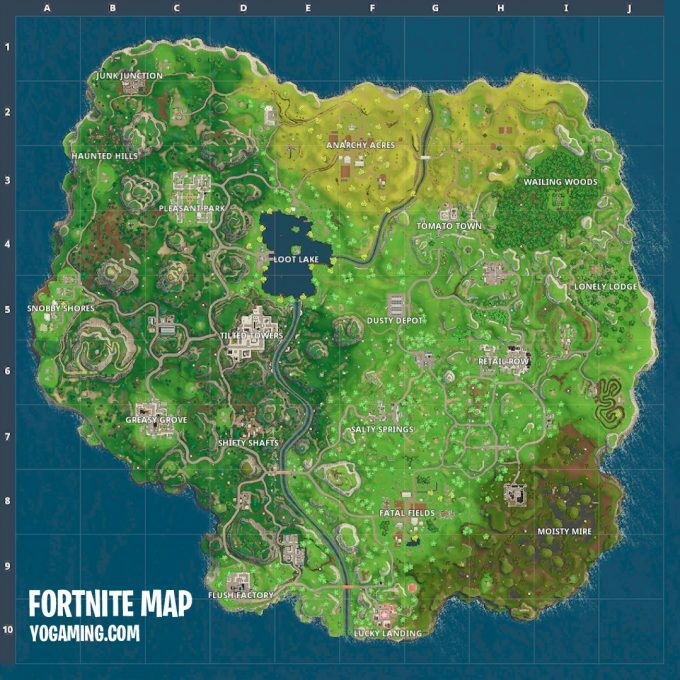 To make it easier for you guys to get familiar with the new map, we have created this high res image of the Fortnite map. Just click the map below and save it to your computer for future reference.